Shock waves are an important feature of solar system plasmas, from the solar corona out to the edge of the heliosphere. 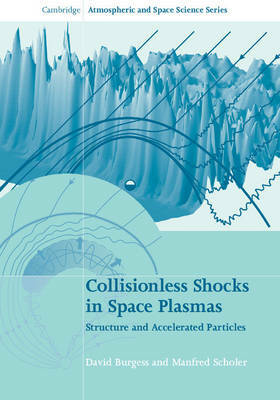 This engaging introduction to collisionless shocks in space plasmas presents a comprehensive review of the physics governing different types of shocks and processes of particle acceleration, from fundamental principles to current research. Motivated by observations of planetary bow shocks, interplanetary shocks and the solar wind termination shock, it emphasises the physical theory underlying these shock waves. Readers will develop an understanding of the complex interplay between particle dynamics and the electric and magnetic fields that explains the observations of in situ spacecraft. Written by renowned experts in the field, this up-to-date text is the ideal companion for both graduate students new to heliospheric physics and researchers in astrophysics who wish to apply the lessons of solar system shocks to different astrophysical environments.